Poverty Down in Argentina – But By How Much? BUENOS AIRES, May 27 2013 (IPS) - In the 10 years since late president Néstor Kirchner, who was succeeded by his wife Cristina Fernández de Kirchner in 2007, first took office in Argentina, poverty has fallen, employment has climbed and educational coverage has expanded, although there is no agreement on the exact statistics. Just how much poverty has been reduced is in dispute. But in any case the poverty level has gone down in the past decade of Kirchner governments, say experts and activists who talked to IPS. “We are closer than ever to zero hunger, although there are still malnourished kids,” said the leader and founder of the Red Solidaria (Solidarity Network), Juan Carr. Hunger, floods, extreme cold, epidemics, the need for an urgent transplant are some of the social problems addressed by the Red Solidaria, an NGO that has a network of volunteers around the country. In his interview with IPS, Carr was careful to steer clear of the heated dispute between spokespersons of the centre-left Fernández administration and the opposition on whether or not the poverty rate is going down. In his view, the statistics are neither as good nor as bad as the two sides would have people think. The poverty rate in Argentina had soared to 54 percent in late 2001, when the severe economic crisis triggered massive street protests. A brutal police crackdown on the protests left dozens of demonstrators dead and injured, prompting then president Fernando de la Rúa to step down. 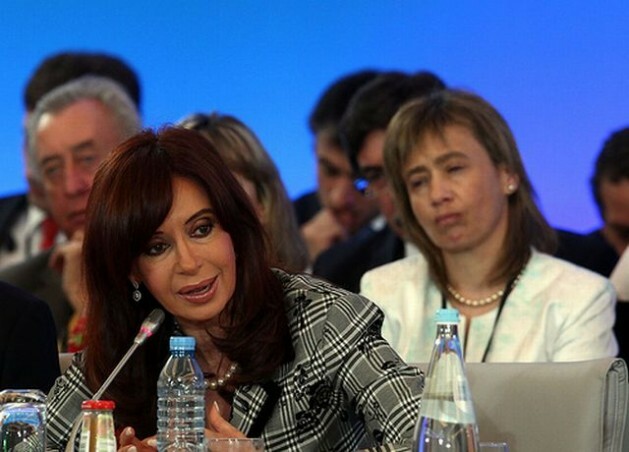 Kirchner, who died in October 2010 at the age of 60, became president on May 25, 2003 after a series of caretaker presidents, and since then the poverty rate has steadily fallen. According to the latest figure released by the National Statistics and Census Institute (INDEC), from late 2012, 5.4 percent of Argentina’s 40 million people are poor. But the opposition and some experts have called INDEC’s figures into question since the executive branch increased its involvement in the statistics body in 2007. They argue that INDEC’s numbers are based on an artificially low estimate of the cost of the basic food basket, which purportedly does not take into account the real inflation rate. For example, studies presented by the private Catholic University of Argentina put the poverty rate at almost 27 percent. Statistics on unemployment also vary. According to official figures, it plunged from 24 percent in 2002 to 16.3 percent in 2003, and to 7.9 percent today. But these numbers are also questioned. “It doesn’t seem to affect 30 percent, but not just five percent either. I think a reasonable assumption would be that one out of five people in Argentina are still poor,” he said. With respect to the fight against poverty, the activist mentioned “two glorious moments” in the last decade. One was in 2003, when agriculture began to recover and the government had “very good” social policies. “Food started to really be produced on a large scale then, which led to a major reduction in the deaths of children under six from problems related to malnutrition,” he said. The second was in 2009, when the Universal Child Allowance (AUH) was introduced by the Fernández administration. “At least 500,000 people were pulled out of extreme poverty in just a few months,” he said. The AUH, adopted halfway through Fernández’s first term, is a cash transfer to parents who are unemployed or work in the informal sector of the economy. It was later expanded to the children of domestics, pregnant women, low-earning members of cooperatives, and disabled people of any age. The allowance, which is received by 1.8 million families of more than 3.3 million children and adolescents, is conditional on school attendance and keeping up-to-date on vaccines and medical checkups. The allowance is 340 pesos (65 dollars) per month per child under 18. But in June it will increase to 460 pesos (88 dollars). The living conditions of middle-class families who had fallen into poverty also improved over the last decade. In some cases, in fact, their lives made a complete turnaround. Guillermo Mesa, who is 46 today, had a good job driving his own taxi in the late 1990s. He became one of the victims of the 2001-2002 crisis. “I lost everything,” he told IPS. After he was left without a job, his marriage fell apart in just a few months. He was referring to the devaluation of the Argentine peso in early 2002. “For two months I couldn’t find any work. I did some odd jobs here and there. I got some work driving a ‘remis’ (hired car). But the whole situation broke up my marriage. I had a one-year-old daughter and a 12-year-old son,” he said. In 2003, Mesa decided to complete secondary school. “After that, I started taking plumbing and electrical courses,” he said. He is happy because he is enrolled in the social security system and receives full labour benefits – paid vacation, annual bonus and medical insurance. He is now studying to become a librarian. “I’ll be done next year, and I want to get a certificate to teach math in high school,” he said. Mesa has never been able to buy his own home. He never managed to buy another car, either. But he remarried, and his son is in the university. “It was hard, but I was lucky. Now it’s easier to find work, and if you study, that helps a lot,” he said.